We all know we should eat more vegetables, but it doesn’t seem to be high on the priority list. Research has shown that eating a lot of vegetables and fruits can actually make you feel happier. If that doesn’t motivate you to eat your veggies, hopefully these other fun facts will! 1.Reduce your risk for heart disease, including heart attack and stroke. 2.Helps protect against certain types of cancers. 4.Reduce the risk and symptoms of digestive disorders. 5.Most vegetables are low in calories, which means you can eat a lot of them! 6.The high fiber in vegetables help you feel full longer. 7.Potassium-rich vegetables helps lower blood pressure. Vegetable sources of potassium include spinach, lentils, kidney beans, lima beans, soybeans, beet greens and tomato products (paste, sauce and juice). 8.Vitamin C-rich vegetables helps heal cuts and wounds and keeps teeth and gums healthy. Vegetable sources of vitamin C include tomatoes, sweet peppers, spinach, summer squash, cauliflower, broccoli, cabbage and Brussels sprouts. 9.Vitamin A-rich vegetables keeps eyes and skin healthy and helps protect against infections. Vegetable sources of Vitamin A include carrots, sweet potatoes, collard greens, leaf lettuce, spinach and tomatoes. 10.Quick and easy to prepare and eat. Keep vegs where you can see them, you’ll be more likely to eat them. Wash, cut up and store vegs in small zip lock bags for an easy and fast snack. Variety is the spice of life – try different colors and varieties of vegetables, whether they are fresh, frozen or canned. When trying new vegetables, you may need to eat them 10 or more times until your taste buds get used to the new taste. Keep your favorite frozen vegetables stocked so you always have a vegetable to add to a meal. Dip veggies in nut butters, hummus or Greek yogurt based dips (use plain Greek yogurt and ranch seasoning mix). Snack on Edamame (soy beans). Order your burger or chicken sandwich in a lettuce wrap. Try different methods of preparing vegetables. Some prefer veggies raw and crunchy, others may enjoy them well cooked and soft, or lightly cooked. Sautee vegetables in a small amount of olive oil and add your favorite spices, herbs and/or seasonings. Cook vegetables in the microwave oven. Place them in a microwave safe dish and cover. Cook for 2 mins or longer, depending on the type of vegetable and desired texture. Grill vegetables in a grill basket. Roast vegetables in the oven. Toss them in olive oil and your favorite spices, herbs and/or seasonings. Spread them in a single layer on a baking sheet and bake at 400°F for 10-30 mins, depending on the vegetable and desired texture. You can also sprinkle small amounts of parmesan cheese on the vegetables before baking them. Try making kale chips: wash kale leaves and dry well with a kitchen towel or paper towels. Tear off thick center vein and tear leaves into smaller, bite sized pieces. Toss with olive oil to lightly coat the leaves. Spread on a single layer on a baking sheet, and sprinkle lightly with salt. Bake in 350°F for 12-14 mins until leaves are crisp but not browned. Try pureed cauliflower instead of mashed potatoes for a lower carb side dish. Steam or microwave cauliflower until soft, and mash with a fork or food processor. Add a small amount of salt and butter or olive oil to taste. For a bolder flavor add crumbled blue cheese or goat cheese. Replace rice with cauliflower or broccoli rice. Replace spaghetti with zucchini noodles or spaghetti squash. Have beans as a main protein source for a meal. They are wonderful in chilies, soups, and added to salads. Beans are also a good source of fiber which can help relieve constipation. If you are not used to eating beans regularly, start with small amounts daily and slowly increase the portion size. This way your body has time to get used to digesting them and you can minimize gastric discomfort that some people experience after eating beans. Remember to drink plenty of fluids with foods high in fiber! Heading to the kitchen late at night is a common issue for those with poor eating habits. If you find that you are overeating due to not having enough to eat throughout the day, it’s time to start a routine. A little planning and packing can go a long way. Pack healthy snacks that are easy to grab and go. Get enough protein and fiber throughout the day. Both protein and fiber help us feel full for longer after a meal or snack. When we’re full and satisfied, we are less likely to crave unhealthy, high-carb and high-fat snacks. Don’t skip meals, especially breakfast. Focus on planning healthy meals and snacks to have throughout the day. Eating enough during the day and at regular intervals will help you feel satisfied and not crave food after dinner. If you’re an emotional eater find ways to de-stress. Try breathing exercises or some light yoga. Practice mindful eating, especially at dinner. Eating in front of the TV, while playing video games or surfing the Internet can distract attention from what and how much is eaten. It also may reduce satiety signals sent to the brain, causing you to feel hungry quicker than usual. At meal and snack times, turn off the TV and smartphone, sit at the table and enjoy your food so you feel full and don’t want an after-dinner snack. When the right ingredients are included, a salad can be a nutritious, satisfying meal. Follow these guidelines to make sure yours stacks up. Dress it – oil-based dressings are lower in calories than creamy dressings. Make your own dressing with oil and vinegar of your choice, and add up to 2 Tbsp to your salad. Avoid choosing light, low-fat and fat-free dressings as these are typically higher in carbs. Seeds – One ounce of seeds adds protein, fiber, and healthy fats. Avocado or Olives – Both are sources of healthy fats. Starch – Feel full longer by adding extra fiber with up to ½ cup whole grains. Remember, the key to eating healthy is having healthy foods around to eat. Check out these tips! Most of us aren’t getting enough Fiber due to our diets. 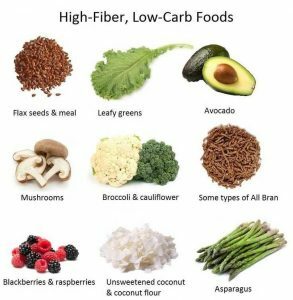 Fiber is beneficial & helps with weight loss. Unfortunately, Americans have been eating less and less of foods with the necessary fiber that their bodies need. For those of you who are not getting your Fiber through real foods and are relying on processed foods you are doing yourself a disservice. Processed food manufacturers have been adding one type of fiber into foods, inulin. Inulin is natural and not bad, just overused these days. When inulin is frequently consumed this can cause an imbalance in gut bacteria, which may cause GI rumbling, gas, bloating and other unpleasant stomach issues. You should get most of your fiber through whole foods. This will help balance out your gut bacteria & have you feeling great! The magic number is 30! You want to reach 30g of fiber a day preferably through Veggies. It is important to increase fiber slowly and drink lots of water every day. When fiber is increased too quickly, it can lead to stomach pain, intestinal cramps, bloating, gas and even constipation. The latter may surprise some; however, without enough liquid in the diet, fiber can bulk up the stool to the point that waste becomes nearly impassable. Beans- Add them to meals often example: Add them to burritos, eggs, chili etc. High fiber cereal- Read the nutrition label the fiber should be from whole grains & bran and should also contain 5g of fiber per serving. Avocados- 1 whole Avocado is 10 grams of fiber. Make sure to understand that this fruit is higher in calories, but the overall nutritional value of an Avocado makes indulging worth it. After all they are considered a Superfood! Nuts- Almonds, pecans & walnuts. Brown Rice- Contains more fiber than white. Chia Seeds-10g of fiber per 1-ounce serving! Here at Figure Weight Loss we encourage our patients to develop a weight loss team or to find a partner to navigate this journey with. Statistics show people who have weight loss partners are 3x more likely to succeed & to reach their weight loss goal. Joining forces with friends & family not only increases the likelihood of reaching your goal, but it makes the experience more enjoyable. Competitive nature makes for greater weight loss intentions. Who doesn’t love friendly banter? Keep things light and fun. Teammates sharing their favorite recipes with one another creates excitement. Schedule a game night or get together. Each person can make their favorite, healthy recipe for all to sample. Don’t forget to make copies of the recipes along with the nutritional information of your favorite dish! Accountability may be the most important factor in your success. Dedicated communities achieve victory. Your less likely to skip a scheduled appointment or workout with the help of your teammates. If your partner falls off the “weight loss wagon” motivate them to hop back on. Everyone can have a setback or a “bad month.” Make sure you have a strong support group to encourage improvement & offer help when needed, especially when your teammates are struggling. Have some fun! Reaching your weight loss thresholds is something to celebrate. You can help your team or partner avoid celebrating with food by going shopping for a new outfit together or going out dancing to burn even more calories! Your spouse or significant other is one of the best teammates out there. 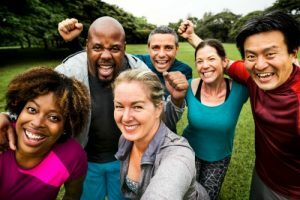 When your working together to accomplish the common goal of a healthy lifestyle, you’re openly communicating and bonding. We’ve seen couples develop a stronger relationship along the way by spending quality time cooking or meal prepping together. It helps to talk about their struggles and how to overcome them. Don’t forget Figure Weight Loss has dietitians as a free resource to our patients. If you & your partner are struggling with behavior modifications, we can help you. Biggest loser challenges between colleagues are a hit! Co-workers involved on a team find that employee morale and the overall atmosphere changes, not to mention the employer’s benefits of having a healthier & more productive workforce. Contact jhancock@fwlccm.com for information on corporate discounts & incentives! Everyday we have groups of friends check in and out of our Practice together, always making sure to schedule their follow up appointments & to congratulate one another on their progress. Reach out to your friends and family who are motivated and serious about weight loss. Carpool in together to save gas and develop a plan for the next four to six weeks. Sometimes asking for help can be scary and make you feel vulnerable. Try offering help to others instead of just asking for it. They will thank you for the encouragement. Your most valuable resource is FREE! Find your weight loss team… You won’t regret it! The average American gains 1-2 pounds during the winter months. 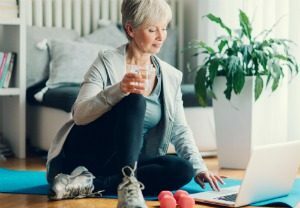 While this weight gain doesn’t seem like much, research shows that we don’t typically lose this weight during the spring/summer months and year after year that 1-2 pounds begins to add up. Why do we gain weight over the winter months? We usually eat more. Why? 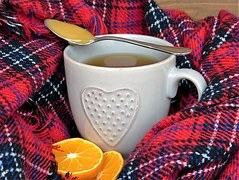 Body Warmth – Eating increases body temperature. We typically choose comfort foods because they are associated with cozy memories that we want to feel again and again. Unfortunately, most of these comfort foods are loaded in calories, fat and carbs (mac and cheese, casseroles, etc.). Boredom – We are usually inside more since the weather is colder. When we’re inside more, we tend to snack more, often out of boredom rather than hunger. Sleep Deprivation – Getting less sleep because we’re trying to cram more things in the day for holidays – cooking, cleaning, shopping, parties, etc. Sleep deprivation is linked to carb cravings. Holiday Gatherings – We are attending parties for work, family, friends and schools. Eating and drinking is the main component of the majority of these parties. Usually consisting of several baked goods and candy. 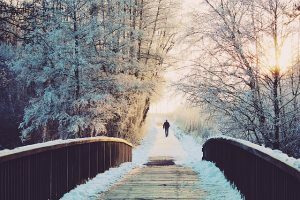 Colder and Shorter Days – When it’s cold and dark outside (at the start and end of our days) we tend to spend significantly less time outside doing physical activities like walking, bicycling, mowing the lawn, gardening, etc. Seasonal affective disorder – Type of depression that’s triggered by the season’s shorter days and reduced hours of sunlight. Seek help from a mental health professional if you’re having feelings of sadness, emptiness, guilt or loss of interest in things you used to like doing. Fortunately, most of these reasons for weight gain over the winter months are in our control! Find comfort in something other than food. – Throw your clothes in the dryer for 5 minutes before you put them on, take a warm bath or shower, read a book by the fire while snuggled in a warm fuzzy blanket or enjoy a cup of hot tea. Make healthier versions of your comfort foods. – You can still have your comfort foods just look for healthier recipes such as Cauliflower Mac and Cheese or stews and soups with a water base and load them with fiber-rich veggies to help you stay full longer. Take time to enjoy your food. – Be mindful of your food and of the moment in which you’re enjoying it. Eat until you are satisfied, not stuffed. Focus more on the company and conversation. Identify reasons why you want to eat. – Often times we’re stressed, anxious, sad, lonely, overwhelmed or just plain bored. Focus your attention on something else such as creating a scrapbook, knitting, joining a book club or organizing your junk drawer. Fix your sleep schedule. – Try to go to bed at the same time every night and wake up at the same time every morning. This will help manage hunger and cravings. Say no to food pushers. – During the holidays people are especially bad about pushing food on people. Don’t be afraid to say no. The simplest way is to say “no, thank you” without offering an explanation. Stay hydrated. – It’s easier to forget to drink water during the cooler months but it’s just as important. Aim for drinking half your body weight in ounces of water. Staying hydrated helps to prevent eating when we’re not actually hungry. Avoid drinking alcohol on an empty stomach. Alcohol stimulates appetite and decreases self-control, therefore, you’re more likely to eat foods high in fats and refined carbs than you might normally pass on. Workout indoors. – If you can’t even bare going outside to get to the gym, find ways to workout at home. Search for workouts online, do several laps up and down the stairs, dance with your kids or clean to your favorite upbeat music (vacuum, sweep, mop and wiping windows can really get your heart rate up). Accept slipups and move on. – Don’t ditch goals until next year. Start fresh with your next meal and increasing the intensity of your workout that evening. Just because the cold weather is here doesn’t mean you have to stop exercising. Make a weekly workout plan and stick to it! Bring the gym to your home. Use stretch bands and your own body resistance. There are plenty of work out videos and tutorials on Youtube. If you’ve been thinking about trying Pilates look for a beginner video. If your workout playlist is old, make a new playlist to keep things fun & help stay motivated. Go up and down stairs. You will get your heart rate up by climbing stairs for 5-8 minutes. This would be a great start to your day for a morning workout. Don’t forget to stay active through the day take the steps instead of the elevator or go on a walk around the office on your break. Find an indoor pool and sign up for a water aerobics class. You can also swim laps or briskly walk around in the water to burn calories. A lot of community centers like the YMCA have adult recreation leagues. If you enjoy basketball or volleyball sign up to participate! If you can’t bear the cold, try walking indoors. You could visit your favorite mall with a group of friends. Set a goal of how many laps you must take before you can make a purchase. Get outside and take a walk through nature or have a snow ball fight with your family. Enjoy the beauty of the season. Insulate yourself and your children well. Dressing in layers helps keep you warm. The top layer should be wind and water resistant. Do not undress too quickly after coming in from the cold. Wait about 10-15 minutes before changing (if you’re not wet) so the body doesn’t experience post-exercise hypothermia. Stay hydrated. You may not feel as thirsty, but drinking at least 64 oz of water is important when losing weight. Spring and Summer will be here before you know it. If you want to look and feel great, don’t slack on your healthy lifestyle. If your just now starting, set short term goals. We have a full medical staff to help you create better habits & stick to them. Don’t Give Up! Get Back on Track! It’s easy to throw in the towel once you’ve let yourself indulge in all the greatness that Thanksgiving has to offer. You’d be surprised how easy it is to get back on track. Don’t let yourself slip further away from the healthy life you deserve. Your one meal, one workout away from hopping back on the weight loss train! Recommit right now. Don’t wait for the new year to make the right choices, put your best foot forward today! Here’s some tips to get you back on track. 1. Bring out your food journal. Writing down what your consuming will help you make better choices later in the day & throughout the week. 2. Drink water for optimal weight loss results. Drink at least 64 oz to help burn more calories, suppress your appetite and flush out toxins. Your body will thank you! 3. Pack your lunch and healthy snacks the night before. Doing this will help your mornings go smoother & keeps you away from vending machines & drive thru’s. 4. Do not make up for over-eating by not eating. Have a high protein low carb breakfast and keep those healthy snacks around. 5. Get moving. Take the steps instead of the elevator. Make an exercise calendar that you can do at home tailored to you. 6. Hold yourself accountable. Come in for your appointments & meet with our dietitians for help with meal planning & healthier food alternatives. 7. Remember how far you’ve come & keep pushing forward. 8. Stay positive. Getting back into the groove will be as fulfilling as you allow it. A healthy mind promotes a healthy body. Football season is here! Which also means most of us are spending weekends sitting on the couch, mindlessly munching on greasy Buffalo wings and cheesy nachos while cheering for our team. Enjoying the game doesn’t have to mean packing on the pounds. Here are a few tips and some “Figure Weight Loss friendly” recipes to help you stay on track. • Exercise before games start. Go for a morning walk or head to the gym right after breakfast. • Use fresh vegetables for dipping as opposed to chips, crackers and breads – celery, carrots, peppers, broccoli, cauliflower, tomatoes and cucumber. • Make lettuce wraps instead of sliders and sandwiches. Use a soft lettuce such as Bibb lettuce. This would work for burgers, pulled pork, grilled chicken, etc. • Bake or grill wings instead of frying them. • Avoid mindlessly munching. When the game has you at the edge of your seat you’re likely to absentmindedly eat the entire plate of nachos without even realizing it. Portion food onto small plates rather than eating from the serving dishes to avoid overeating during the nail-biting moments. It is even better to eat when the game isn’t on (half-time, pre or post game). • Avoid drinking your calories. Keep water at your side during the game instead of sodas, juices and alcoholic beverages. • During commercial breaks get up and move around. Take a short walk during half time. Or you could have a friendly competition with your friends – If your team gets a first down your friends cheering for the other team have to do 10 push-ups and vice versa. • If you’re tailgating or watching the game at a friend’s home, offer to bring a few sensible dishes so you have some control over your own menu. 1. Slice zucchini as thinly as possible; may use a mandolin. Place in large bowl. 2. In a small bowl, whisk together oil and vinegar. 3. Add oil and vinegar mixture to zucchini, and toss. 4. 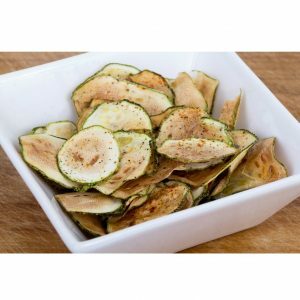 If using a dehydrator, add zucchini in even layers to the dehydrator, then sprinkle with salt. Drying time will vary from 8-14 hours. Alternatively, zucchini may be dried in oven: Line a baking sheet with parchment paper. Lay zucchini evenly, sprinkle with salt, and bake at 200° F for 2-3 hours, rotating halfway through cooking time. 5. Store chips in an airtight container. 2. Add cauliflower to a large baking sheet and drizzle with olive oil. Sprinkle with salt, cumin, paprika and chili powder and toss to coat. Roast in oven until tender and golden (about 20-25 minutes). 3. Top with cheese and return to oven until melted (about 5 minutes). 4. Top with salsa and Greek yogurt. 1. Preheat oven to 425F and line large baking sheet with parchment paper. 2. Microwave riced broccoli for 1 minute to steam. Carefully ring out extra moisture from the broccoli using paper towel. 3. Transfer broccoli to large bowl and add egg, 1 cup mozzarella, parmesan, garlic and oregano. Transfer dough to baking sheet and shape into thin, round crust. 4. Bake until golden and dried out (about 20 minutes). Top with remaining ½ cup mozzarella and bake until cheese is melted and crust is crispy (about 10 minutes). 5. Garnish with pepper flakes and serve warm with marinara. It’s the time of year when people everywhere are celebrating the season by carving pumpkins. But as you carve your spooky masterpiece, don’t discard the pumpkin seeds! Toasted pumpkin seeds are a delicious and healthful snack. 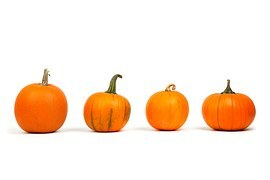 One ounce of pumpkin seeds provides 5 grams of protein, 5 grams of fiber and 5 grams of fat (1 gram saturated, 4 grams unsaturated). toasted seeds such as garlic powder or Cajun seasoning.